Let your acoustic instrument sing loud and true with this transparent combo. The Prodipe active, electro-acoustic Personal 6 speaker is a "wedge" acoustic amp. It uses the same transducers and amplification as the Natural 6 and has been designed for acoustic guitars/other acoustic instruments. Guitarist or acoustic musician - you'll love the absolute sound quality and fidelity. It doesn't matter whether you use them as stand-alones or in a speaker bundle, Natural amps give you pure acoustic sound and extreme versatility every second of the performance. If you play in a group, each musician can use their own Natural amp. It's a great way to create an inexpensive PA system without sacrificing an amazing sound clarity. 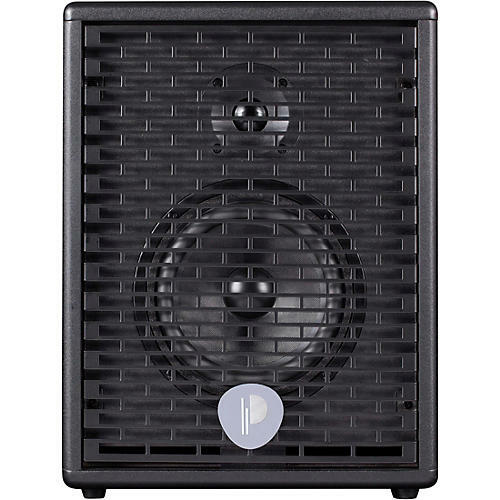 The wedge shape and comfortable power output of the Personal 6 also make it the perfect stage monitor. If you play live, the Natural amps are quite happy front-of-house. With their high volume output, their incredible directivity and a sound quality which is unbeatable for the price, they make an excellent sound system for small venues, cabarets and cramped stages.